Welcome to the new online Scoot Virtual Pilot Handbook. Here you can review upto date airline information, policies and procedures for your day to day operations at Scoot Virtual. This handbook is revised regulary as new developments, changes, additions, or removals arise as needed. A special welcome to those who may be flying with us for the first time. I hope you enjoy your time at Scoot Virtual. Our mission at Scoot Virtual is to provide our pilots with the most accurate and realistic experience as possible. To achieve this we simulate the day-to-day operations of the real-world Scoot aircraft, routes and schedules, operating procedures and real-world Value Alliance partners of Scoot. Scoot Virtual was established in 2016 and is proudly the first virtual airline built to simulate the Scoot Airline. During the development stage there were no plans to introduce other airlines but that changed after Scoot became a member of the Value Alliance. More information about the Value Alliance can be found later in the handbook. My goals for Scoot Virtual are to continue to grow the website with more exciting features and services for our members. I have a long term commitment to our virtual airline and intend on ensuring its success, a virtual airline that we can all be proud of. Thank you for taking the time to learn more about Scoot Virtual, if you’re not a member and decide to join it's a process that is very quick and easy. Scoot, Cebu Pacific, Jeju Air, Nok Air, NokScoot, Tigerair Australia, Vanilla Air and Tigerair who merged with Scoot under the Scoot brand in July 2017. 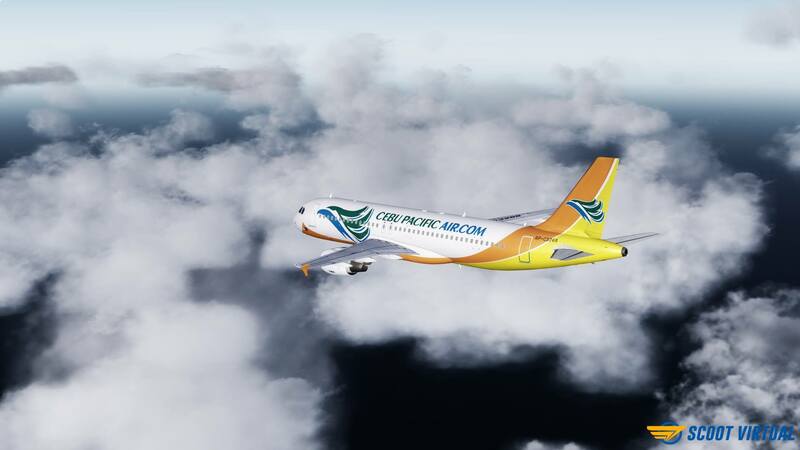 To offer more choice to where you fly and how, we have implemented some of these partner airlines into Scoot Virtual. All pilots accepted by Scoot Virtual with or without previous Virtual Airline experience are assigned the initial rank of Second Officer. We don't restrict the type of aircraft you can fly based on a pilots rank. Because Scoot Virtual does not restrict the type of aircraft you can fly based on a pilots rank we do not accept transfer hours. All the hours displayed on a pilots profile reflect the time and dedication they have graciously provided towards our VA.
All pilots are assigned the HUB of Singapore Changi Airport (WSSS). Pilot awards are designed to recognise and celebrate the completion of pilot milestones. The Operations Center is your personal portal to Scoot Virtual. Most of our features can be accessed from their along with personal options such as changing your email address or password, view and copy your crew/forum badge for use, editing your profile picture, checking current bids, viewing awards and a ton of other stuff! Scoot Virtual has partnered with flight-sim companies to provide discounts for all our pilots. You can view a full list of discounts by visiting the 'Pilot Discounts' link in your operations center. New members who have not filed a flight within 14 days of accepted registration or current members who have not completed any flights within a 60 day period will be marked as 'Inactive' on the Scoot Virtual flight crew roster and through that members operations center. This indicates the member is required to file a flight within 7 days otherwise our system will mark them as retired and remove their profile from Scoot Virtual. A LOA is required when a pilot is unable to meet the minimum flight requirements as stated in this handbook. An LOA allows a pilot to remain on our roster without being active which may have otherwise resulted in their removal for inactivity. A request will only be considered for pilots who have been members for a minimum of 45 days. A LOA can be granted for a period of up to 1 year. An application for a LOA can be made from your operations center. If you're having any trouble getting started at Scoot Virtual and require any support, please don't hesitate contacting us. You can drop us a message in the Crew room or use our pilot support portal. Our download center contains a collection of aircraft, liveries, links and operational materials to assist you in your daily operations at Scoot Virtual. We update the page when new aircraft and liveries become available. ScootVCars is our state of the art flight tracking software used by our pilots to record their flights. The smartCARS software is from our partners at TFDi design and has been customised for Scoot Virtual. The software is available from our download center. Scoot Virtual operates on schedules that reflect the current schedules flown by Scoot Airline and its Value Alliance partners. Scoot Virtual operates in compliance with ICAO code and call sign usage. All our schedules include the correct ICAO code. 'Our fleet' page on the Scoot Virtual website displays current fleets in operation with the real-world airlines we simulate. The page is updated on a regular basis to ensure we are operating the same number and type of aircraft at Scoot Virtual. Our historic fleet is a collection of older aircraft that may have been sold or retired and is displayed on our fleet page from the Scoot Virtual website. Historic aircraft can be used for aircraft substitution on some of our current schedules and are listed in our aircraft substitution policy. In order to simulate real world procedures, aircraft substitution is permitted on some flight schedules. Aircraft substitution will only be accepted if flights are completed with the specified aircraft in the list below and when using the correct livery. We do not require that flights are flown online; however we highly encourage our pilots to use this free service providing access to a world of live traffic and ATC enhancing your piloting experience. We would be very thankful if you could leave a URL link in the comments/remarks section of your VATSIM filed flight plan. The electronic booking map displays a route map of all our destinations and is an alternative way for searching and booking flights. Pilots can pan around the map, zoom in and out, and utilise the EBM for things like planning multi-legs or connecting flights. The tour center provides a range of flights and events that earn pilots flight hours and awards. Tour flights are typically multi-leg flights and some are only open for a limited time. Current tours can be found in the 'tour center' from the scoot virtual website. Our flight tracking software SmartCARS is incompatable with MAC operating systems. We are currently working on implementing XAcars software for MAC users. Until XAcars has been implemented, MAC users will need to complete all their flights online via the Vatsim or IVAO network. When filing your PIREP please follow the guidelines outlined below in the "Manual PIREPS" section. Once your PIREP is filed via ScootVCars or the manual form, it will be reviewed by our staff who will decide whether to accept or reject the PIREP. Failure to meet any of these guidelines will result in your PIREP being rejected. By accessing “Scoot Virtual” , you agree to be legally bound by the following terms. If you do not agree to be legally bound by all of the following terms then please do not access and/or use the “Scoot Virtual” website. The login credentials that are provided to you by Scoot Virtual is your exclusive membership identification. You may not give permission or knowingly allow your username and password to be used by anyone else. Members are required to use their full name when registering as a Pilot. Incomplete, incorrect or misleading information may result in a termination of the account. You may only register for and hold only one Scoot Virtual membership. All members must provide a valid email address. If your email address changes, you must use the 'edit profile' form from your operations center to modify your email address in the database. Accounts with invalid email addresses will be removed. All pilots must fly at least one flight within the first 14 days after successful completion of registration. If unable, you can request a leave of absence for up to 1 year. Active pilots must file a flight every 60 days. Pilots who do not comply with this rule will be removed from the roster unless they request a leave of absence. You can request a LOA from your 'operations center'. All flights must represent a valid Scoot Virtual flight as assigned by the schedule system on our website. Flights that are not completed from the SV schedule system will be rejected and removed. Any pilot or staff who is found to have leaked sensitive material off the Scoot Virtual website, crew room, or any relevant third party application will have their account terminated immediately without notice. No appeal will be available. Members are to, at all times, be courteous and respectful to one another. Threatening, or harrassing any member may result in account terminatation. Members represent the Scoot Virtual community at all times when accessing other media platforms and online platforms. Members should not undertake any action that would bring harm to the reputation of Scoot Virtual, including making derogatory statements about Scoot Virtual. Members are to only fly one flight at any single time. If a member is found filing PIREPS to Scoot Virtual and another virtual airline at the same time for a single flight, their account will be terminated without notice. Our staff will also advise the other virtual airline regarding the matter. Scoot Virtual is a Virtual Airline; we are in no way affiliated with Scoot Air Lines, Inc. or its affiliates. All material published on our website is only for flight simulation purposes and should not be used for real world operations. The Scoot Virtual website, ACARS and any other feature of Scoot Virtual are not for commercial use. Scoot Virtual Management reserves the right to update these terms without prior notification.Violations of the website policy may result in a temporary suspension, termination or another form of disciplinary procedure to the members account. Scoot Virtual Management reserves the right to suspend or terminate any individual's membership from the organisation without notification if this or any other relevant policy has been violated. The member may appeal the suspension or termination to Scoot Virtual Management whose decision shall be final.